Find a Child Care Center or School Near You! 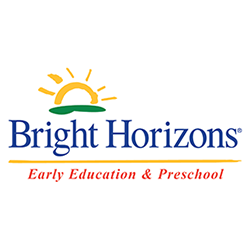 Bright Horizons is the world's leading provider of employer-sponsored child care, back-up care, education and work/life solutions with more than 700 child care and early education programs and schools for employers and working families across the US, UK, Ireland and Canada. Committed to creating great work environments for its 18,000 employees, the company has been named 12 times as one of FORTUNE magazine's "Best Companies to Work for in America." Bright Horizons provides work/life solutions for more than 800 leading employers to help them address challenges across key life stages. Programs include child care, back-up care, college counseling, elder care, and work/life consulting. The first few years of life are an extraordinary time that sets the stage for all the years that follow. Our program for learning creates educational environments that empower children to be confident, successful, lifelong learners and socially responsible citizens. Bright Horizons' innovative programs help children, families, and employers work together to be their very best.